Browse: Home / Eli.Decode is a tool to decode obfuscated shellcodes using the unicorn engine. 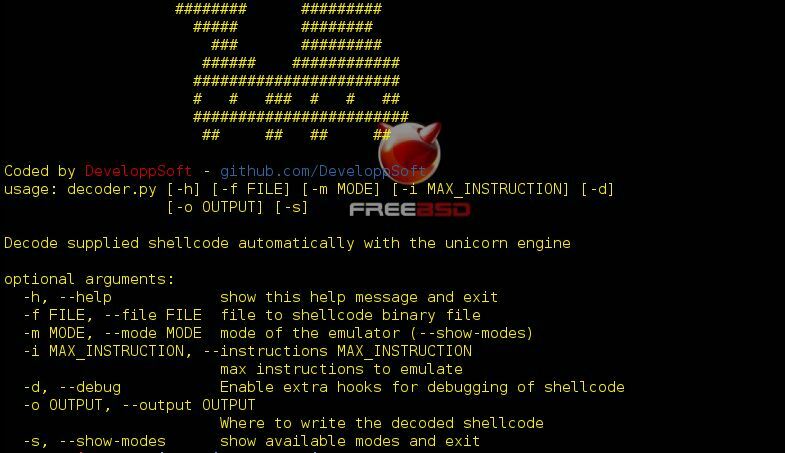 Eli.Decode is a tool to decode obfuscated shellcodes using the unicorn engine. + You need the unicorn engine (http://www.unicorn-engine.org/) AND the capstone engine (http://www.capstone-engine.org/) (with the python bindings…). Please note this is as easy as added / patching values in the “decoders” dictionnary, so… I just need to google it (let me time…). Finally, please note that new architectures might be added if they are supported by the unicorn engine (http://www.unicorn-engine.org/) AND the capstone engine (http://www.capstone-engine.org/). ← RouterSploit – Router Exploitation Framework.